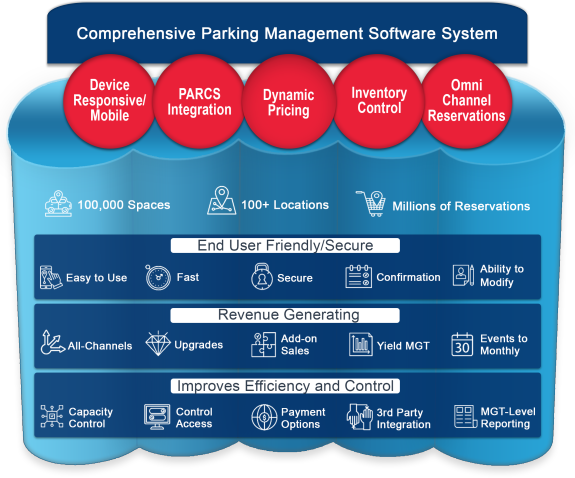 The first parking software that is a “plug and play” and will immediately increase revenue and efficiency. The complete solution for operating, managing and marketing today’s high-performance Parking facilities. Cloud reservation software products that integrate with all types of hardware and work with any size operation.